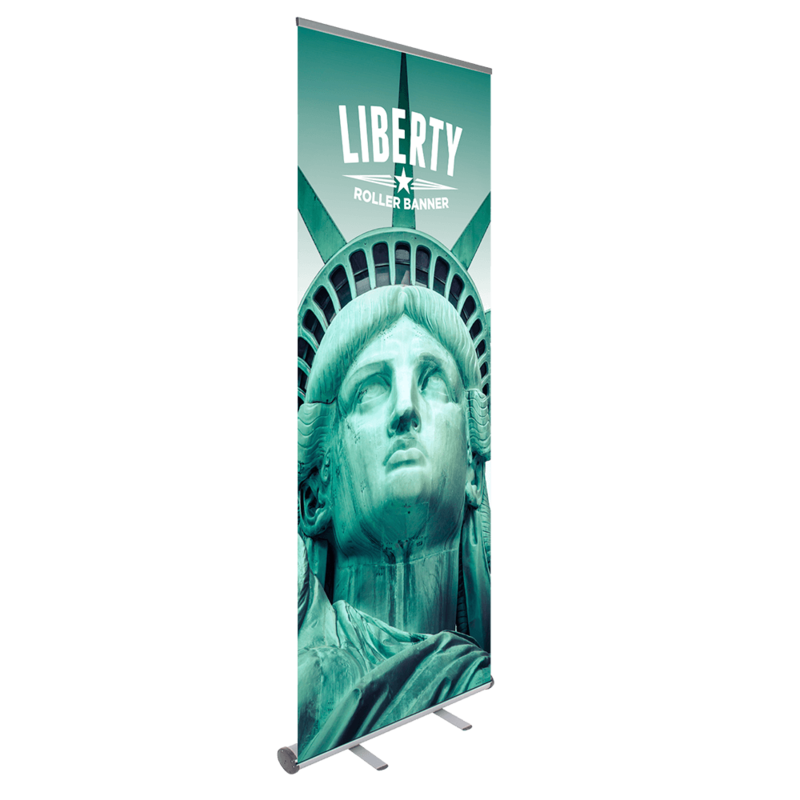 Lightweight and conveniently portable, the Liberty Roller Banner comes with multiple sizing options and is printed on 400gsm anti-curl, anti-scuff, anti-glare SoFlat. Use this banner to market your business at trade shows or other special events. 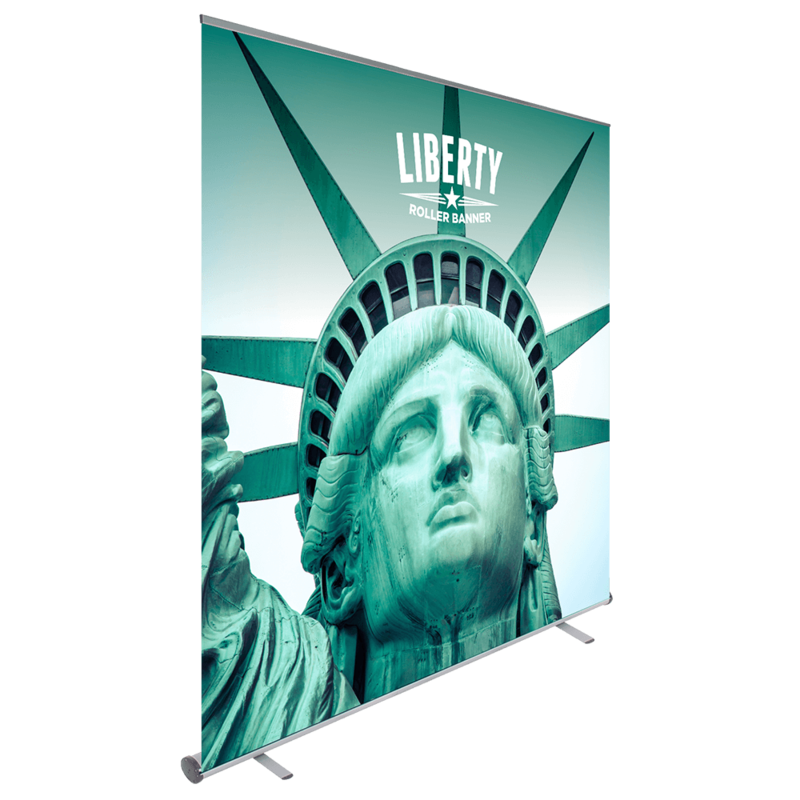 Easy to set up and take down, our Liberty Roller Banner will arrive with its snap clip and adhesive top rail. 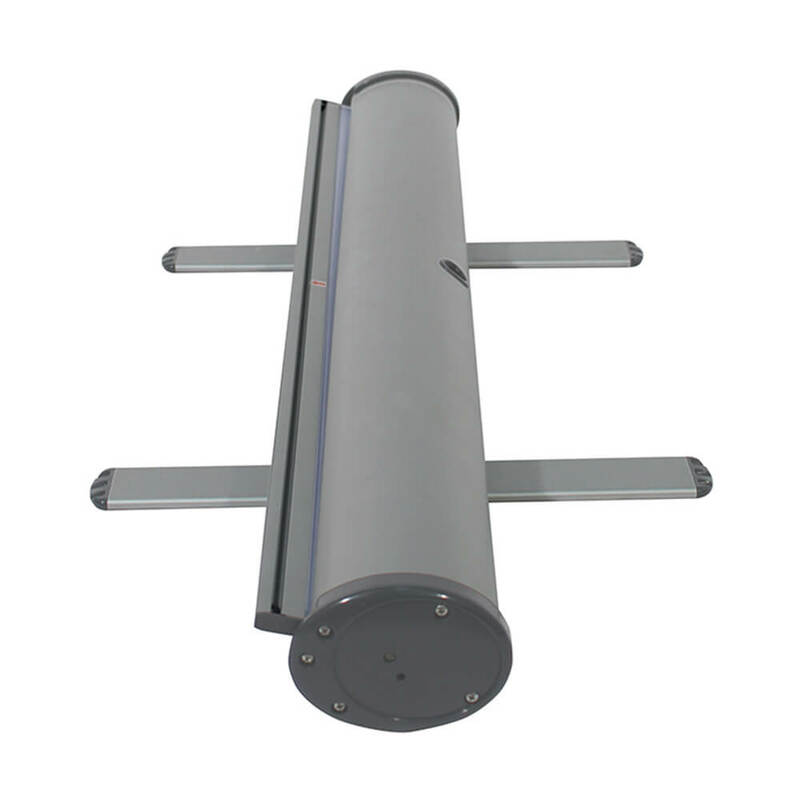 Your banner's grey end covers won't detract from your image while it takes centre stage. To create your customised banner, simply choose from our templates and upload your artwork. 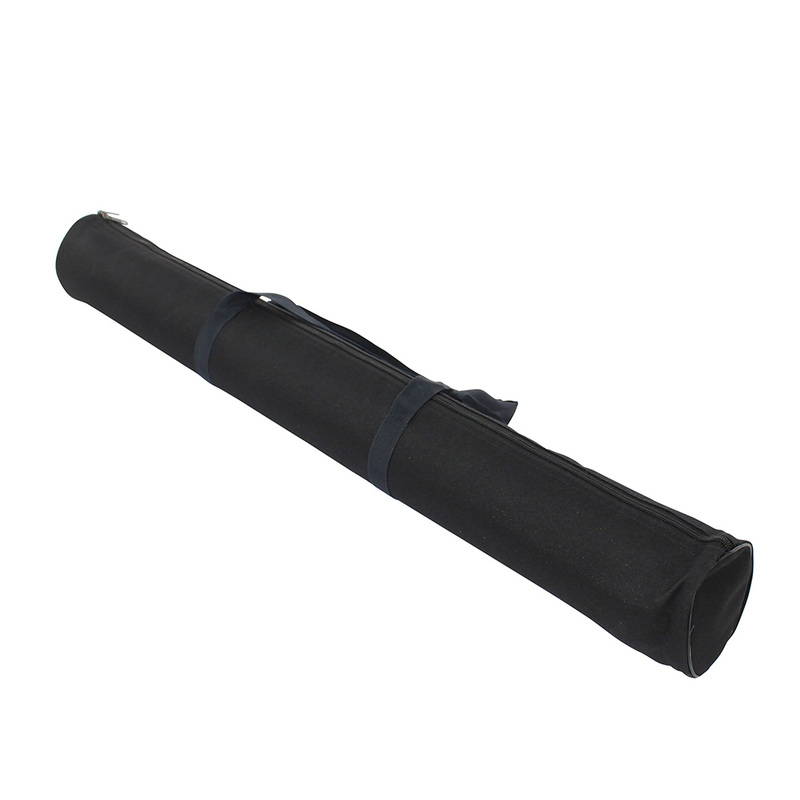 We'll digitally print your graphic and send it to you along with a carrying bag for added convenience.